Continuous education – that's what makes our brain fit and our mind bright. This October an intensive course of trainings for Project Managers, Business Analysts and Business Consultants takes place in Zfort Group. 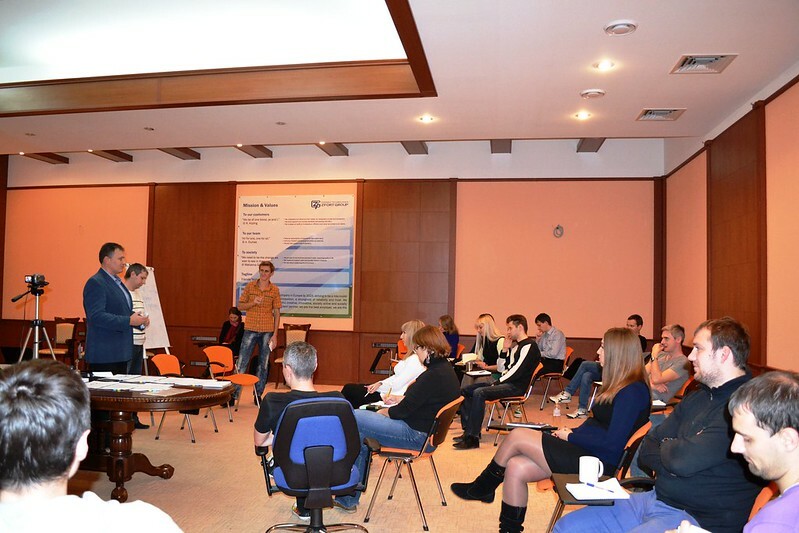 All the trainings are run in an interesting format of intensive practice – all the participants manage to try themselves in a role of a customer or an affected party. This helps us both comprehensively understand the needs of the customer and consistently react in accordance with all his requests. So far we had two trainings that lasted three hours each. Two more are ahead. Even though the trainings are targeted to certain employees who are dealing with clients every day, many other professionals expressed a wish to participate in the course. So, very soon our team will be more educated, skillful and knowledgeable. Take a look at a short photo report from these trainings in a separate Flickr album.